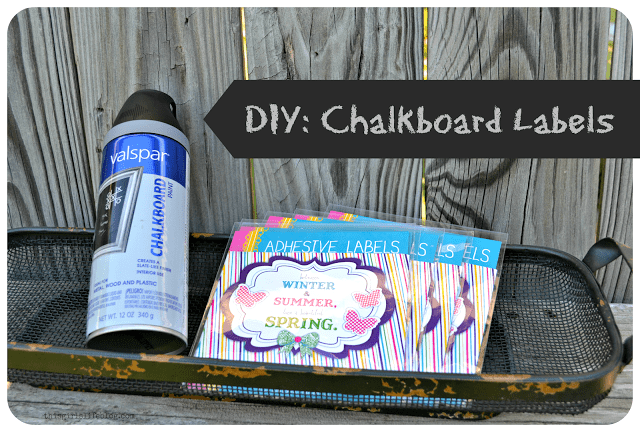 All you need to do to create your own chalkboard labels is to pick up a package of labels and spray paint them with chalkboard paint. Let them dry and you are ready to organize your jars, boxes, etc. with all kinds of labels. 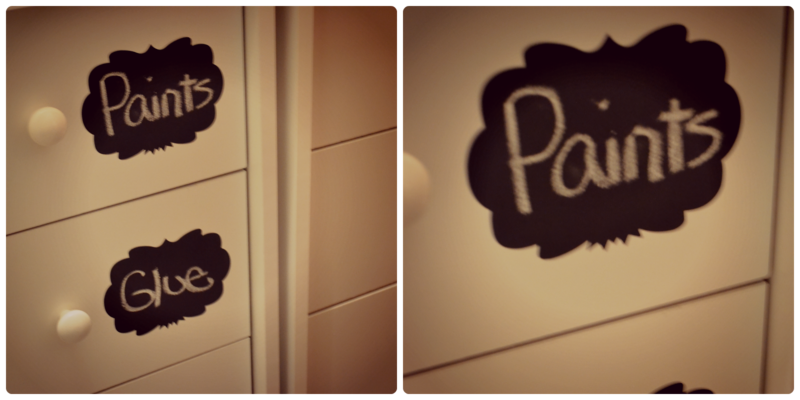 The best thing about chalkboard labels is that you can relabel with a simple erase of the chalk. What is your favorite thing to label in your home? LOVE this idea! I am obsessed with all things chalkboard right now! I picked mine up at Lowe’s but they have chalkboard paint pretty much everywhere spray paint is sold. They may even have it in regular paint cans as well, pretty sure they do. I stopped by and linked up. So easy!! Love the idea, I’ll def be trying!